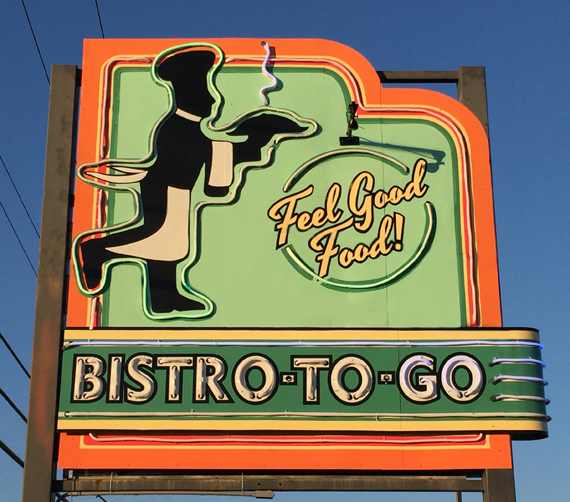 Artist/owner of Bistro-to-Go Mary Anne Erickson has designed the store and cafe's new sign as a tribute to all her favorite vintage neons signs from the past. 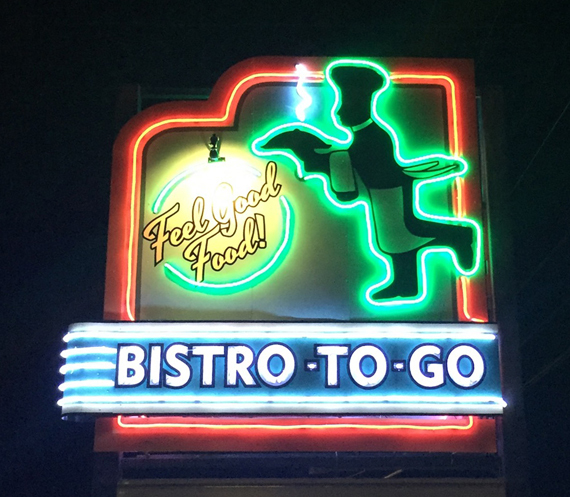 This beacon of Feel Good Food shines 24/7 welcoming travelers and locals to their eatery for delicious, nourishing food to eat-in or take-out. My love for the beauty and classic design of vintage signs goes back to my childhood memories of family road trips. Any kid that grew up in the 1950’s would remember the thrill of setting out to explore our National Parks, seaside, lake or mountain resorts - in short - whatever your parents could pull off for a family vacation. Who knew that the kooky roadside attractions and family-owned diners would eventually become relics of the past? When you’re a kid, you just think everything’s going to be that way forever! To see all of my work, visit www.maryanneerickson.com. To view a current exhibit of my work visit Caldwell Banker Village Green Realty in the heart of Rhinebeck, New York.